I am a member of the Society of Children’s Book Writers and Illustrators. Each cover of their professional magazine, The Bulletin, is illustrated with a kite. I don’t have permission to include a photo, so here’s an embroidered kite that hangs on my wall. When was the last time you flew a kite? Who were you with? Did your kite soar, dip, or crash? At the walking park near us, people can be seen flying kites. Maybe I’ll get a photo to share for another time. Have you ever mixed a pitcher of Kool-Aid to serve? Write or tell about that time. Can you finish this tune? What “K” words come to mind for you? I hope you’ll share why they’re special to you. Which Do You Predict? Spring Marches…or March Springs…? “A Writer’s Playground” A place to find wordplay, writing, and monthly calendar activities for kids and those young at heart. Think: What does the word “March” bring to mind? I think of Spring. Combine the two and what do I get? Which do you predict for this year? Spring marches… or March springs… How would you complete each prompt? If you add a few more words, what do you get? Here’s one: In March, bunnies spring into action–especially the Easter Bunny. Most of us have heard this expression about March: “In like a lion and out like a lamb.” Or the reverse: “In like a lamb and out like a lion.” Back in February, we had an expression about weather based on a groundhog and his shadow. More winter? Early spring? It seems we like “seeing both sides of a coin.” And who knows what that expression means? What will you celebrate in March? There is much to choose from. Enjoy. World Day of Prayer: 1 What do you think this day is all about? Name three ways you would consider celebrating it. Which would you choose and why? Discuss your ideas with your parents. Please check the link below for Christian books for young children by Jill Roman Lord. Dr. Seuss Day: 2 What is your favorite Dr. Seuss book? What is your favorite part of the story? Read a Dr. Seuss book to someone or with someone. Read Across America Day: 2: Name two favorite books. Pretend to place one in your right hand and one in your left. Who would you pass each book to? Ask the people you passed books to to tell who they’d pass to. Keep the passing going until you have no more people to pass to. Give a shout! Your hands have passed reading part-way across America. 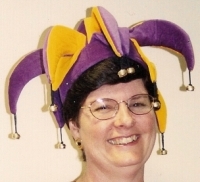 International Tongue Twister Day: 2 Tongue Twister Contest: Have a friend or parent locate tongue twisters in the joke section of the library. Make two copies of the one chosen. Type, if possible. Do not let the contestants read the tongue twister in advance. Team up against someone and see who can read it more quickly and accurately. Try another tongue twister. If possible, find ones not commonly known. Can you say the tongue twister three times without messing up? Have a group try it at the same time. Listen to the buzz in the room. Namesake Day: 3 Do you know anyone named for someone else? For example, I was named for my mom and her sister. Does that make me the namesake of two people? This is a good day to recognize the person you were named for. Who do you wish you could have been named for? Is the person living? If so, let him/her know how you feel. National Grammar Day: 4 What is grammar? Find a grammar rule in a book. Break it on paper. Have a friend do the same thing. Exchange papers and see if you can correct each other’s grammar mistakes. 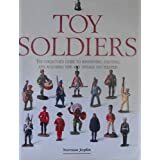 Toy Soldier Day: 4 Name places you have seen toy soldiers. I have several toy soldier Christmas ornaments. The Nutcracker ballet has toy soldiers. Where have you seen toy soldiers? Did you know people who collect them? Name tag Day: 7 Where have you worn a name tag? Here’s a silly game that you could play with people who might not know everyone’s name: Everyone wears a name tag. Some people make up names and write them on the tag. Have you ever done this? Here’s another name tag game. : Write a celebrity or cartoon character’s name on a sheet of paper. Tape it to someone’s back. The person wearing the tag must ask other players yes/no questions to try to discover the name on his/her back. Genealogy Day: 9 Play Point the Finger Game (for good and bad traits): Name physical traits you have. Which relative has this too? Name personal traits, skills, strengths and weaknesses. Which relative has this too? Check Your Batteries Day: 10 Let this day remind you to check your toys and electronics with batteries. What about your “batteries?” Do you need to be energized? Do you need to eat healthier, get more sleep, get more exercise, set goals, try something new, etc? Johnny Appleseed Day: 11 Read Johnny Appleseed by Steven Kellogg. What is one way you could spread something good? Napping Day: 11 Do you have pets? Do they nap during the day? Do you? Do you think you’re too old to nap? If so, curl up with a good book and relax instead. Girl Scout Birthday Day: 12 Do you know a Girl Scout? Do you eat Girl Scout cookies? Learn something new about Girl Scouts today. Share what you learned with someone. Organize Your Home Office Day: 12 If you don’t have an office, clean out your desk, your book bag, your purse, your pockets, or your dresser drawers. Did you find something you thought was lost? Did you throw anything away? Potato Chip Day: 14 Make a chart listing five or more flavors of potato chips. Survey your friends. Which is the most popular with your friends. Consider adding another category–2nd choice flavor. Enter those responses in a different color. Talk about your results with your friends. Consider having a Bring Your Own Chips (BYOC) party. National Quilting Day: 16 Are there any homemade quilts in your home? Who made them? Are they sewn by hand or machine stitched? Research quilting bees. What are some conversations that might have been discussed? Have you ever been to a quilt show or seen a quilt auctioned? Have you ever made a paper quilt with your classmates? Meet Maureen Wartski on March 16 and learn about quilting, quilt art, and her art and writing. St. Patrick’s Day: 17 Do you know the story of St. Patrick? Why do we wear green? Have you ever been pinched for not wearing it? At one school I know, a staff member hands out paper cutouts of shamrocks to anyone who forgot to wear green. What a kind person. Do you have a special St. Patrick’s Day memory? Corn Dog Day: 20 Do you eat corn dogs? Do you prefer hot dogs or corn dogs? Where have you eaten a corn dog? I know there are hot dog eating contests. Are there corn dog eating contests? Research and see what you learn about their history, nutrition, etc. National Common Courtesy Day: 21 What is an example of a common courtesy? Make a list of the ones you have shown this week. What is the one that seemed most appreciated? Why do you think so? What is Women’s Lib? Research and then tell how you think it has changed some custody traditions. International Day of the Seal: 22 Why do you think this day is celebrated? Find images of seals. Find locations on a world map or globe where these live. Public libraries usually have good databases for children, if you would like to search for more information. These can be viewed online. What does “seal of approval” mean? Do you know the gesture for showing approval called “seal of approval?” Maybe your teacher has led you to clap this way. International Goof-off Day: 22 It’s okay to goof-off some, but if you do it too much you may get the nickname of “goof-off.” What does that mean? What do you like to do when you get a chance to goof off? Ask your friends for their favorite ways to goof off. Name a favorite goof-off character on a television show, book, cartoon. Tell why you call him a goof-off. Do you think the character would agree with you or argue about the name? Why? National Puppy Day: 23 What’s more fun than a barrel of monkeys? A litter of puppies. Have you ever held a tiny puppy? What about a baby kitten? Have you ever gotten to name a puppy. Please comment about a favorite baby pet memory. World Tuberculosis Day: 24 What is tuberculosis? Have you ever been tested for it. It is often called TB. Visit here again on March 24 to learn more about TB and about Shannon Hitchcock’s book, The Ballad of Jessie Pearl. There’s even a book giveaway. National Medal of Honor Day: 25 Do you know someone who earned a National Medal of Honor? Is this someone you can interview with your parents? Make a list of questions to ask. Research the war the service person fought in and locate information about why this medal is awarded. This is called “doing your homework.” What do you think that means? Passover: 25 Who celebrates this holiday? Why? Where can you read more about this holiday? Research and learn about the traditional meal served. Good Friday: 29 Who celebrates this holiday? Why? National Day of Unplugging: 29-30 Would you be willing to unplug devices you use for one day? Two? More? No batteries either. What would be hardest to give up? Doctors Day: 30 Hooray for doctors! What type do you visit? pediatrician? Specialist? What field interests you? What diseases does a doctor in that field treat? Have you ever owned a toy doctor’s bag? A stethoscope? Easter: 31 Who celebrates this holiday? Why? Severe Weather Preparedness Week: 3-9 What severe weather do you have in your area this time of year? Do you chart hurricanes? Do you have a special kit prepared in case of a storm? What should be in it? Do you know the closest emergency shelter? Do you know the evacuation route, if one is designated in your area? Where can you learn this and more? Celebrate Your Name Week: 3-9 Name three ways to celebrate your name. Why not fill a whole page with your name, like punishment writing for breaking rules? This time give it a positive spin. Send the full page to your mom and dad and thank them for giving you this name. If you’d like to add some humor, thank them for not naming you________, ________, or ___________. Select silly names like characters from cartoons or comedy programs. You could fill an entire page with these names if you’d like. Have fun with it. National Schools Social Work Week: 3-9 Does your school have a School Social Worker? She/he may serve more than one school. Do you know? What are some duties of a School Social Worker? If you don’t know, how can you find out? When I think of a School Social Worker, I think of abuse prevention, homeless programs, and eyeglasses for needy students. What about you? National Words Matter Week: 3-9 What words matter to you? Name a few. Make a list of encouraging messages you share. Examples: You can do it. I believe in you, etc. Keep up the positive messaging. Maybe it will catch on like text messaging. Wouldn’t that be great? Women in Construction Week: 3-9 My mom loves doing construction work. She volunteers to go on mission trips with church to Haiti and other locations. She has helped paint and build church pews there. I know two women who are electricians. Who do you know in construction work who is a woman? Look for women in construction work around town. Do you think you’d like doing construction work? What kind? National School Breakfast Week: 4-8 Do you usually eat school breakfast? Why or why not? What is your favorite school breakfast? Select a creative name for a food item on the menu. Ask your friends to try. Vote for the best menu item. Sherlock Holmes Weekend: 15-17 Who was Sherlock Holmes? Was he real or myth? Why is he well known? Do you like a good mystery? Why not challenge everyone you know to read a mystery this special weekend? You could either read the same title or choose different authors to learn about. Share your opinion with others. Flood Awareness Week: 18-22 Have major floods occurred in your area? Were you living? Are there photographs and articles you can read? Does your local public library have records? Does your local newspaper have a library? After researching, write about something that stood out for you. Wildlife Week: 18-24 Do you like observing wildlife in your yard, at the zoo, at a petting farm, at a museum, at the fair? Are there other locations where you’ve seen wildlife? Have you seen wildlife in bodies of water, in the air, or in the forest? Tell about a time you saw wildlife and it startled you. Share a favorite wildlife story. World Folktales and Fables Week: 18-24 Pick a couple of fables or folktales to tell. Gather friends together and take turns sharing stories. What name do you think of when you hear fables? 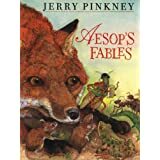 Aesop? Do you have a favorite? What is its moral? Tsunami Awareness Week: 24-30 What is a tsunami? Are they present in the area where you live? What things can you do to be prepared in case of a storm? Name some famous tsunamis and statistics from the storm. Do you know a movie with a tsunami in the story? Do you know anyone who survived a tsunami? Where did he/she find shelter? National Week of the Ocean: 31-4/6 How far from the ocean do you live? Have you ever visited the ocean? If you have, what is your favorite thing to do there? If you have never been, what would you like to do when you do go? If you can’t get to the beach this week, what can you do to pretend that you are there? Maybe you could create a sandbox for the week in a dishpan or in the yard. Play with sand toys. What ideas do you have? American Red Cross Month or Red Cross Month Research to learn the history and mission of the Red Cross. Name a movie with a Red Cross vehicle. Name a disaster where the Red Cross helped. What type things did they do? Brain Injury Awareness Month Name a safety measure you can take when you’re playing or exercising to help prevent a brain injury. Deaf History Month Locate a school for the deaf. Find its location on a city map, a state map, a world map, or a globe. Name a book or television program, or movie with a deaf character. Music in Our Schools Month Name one way music makes a difference in schools. Celebrate by making a musical instrument. Send your music teacher a card. Teach someone a song. Put in extra practice on your musical instrument. Study a composer. Listen to silly songs. Change the words to the song just for fun. Make beautiful music. National Cheerleading Safety Month What are some safety measures used by cheerleading squads today? What is your favorite cheer? Lead a cheer. Teach it to someone. National Craft Month What crafts do you enjoy? What craft item have you made and given as a gift? Which project did you especially enjoy? What is an inexpensive craft project you would recommend? Tell why. Have you ever entered a craft contest, like building a Gingerbread House contest? Tell about it. National Nutrition Month What are three things you’d like to learn about nutrition? Research them. Share what you learned with someone. Research with your parents to learn if the food pyramid has changed since they were born. National Peanut Month George Washington Carver studied peanuts. Research and describe two or more of his findings. 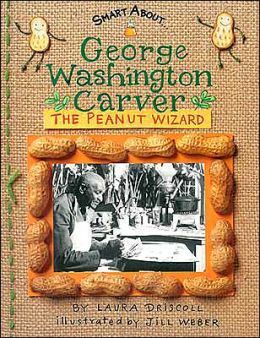 Look for book titles such as this series on scientists: Smart About George Washington Carver, the Peanut Wizard written by Laura Driscoll and illustrated by Till Weber. National Umbrella Month Andy Rooney did a special on umbrellas for 60 Minutes television program on Jan. 13, 2008. I hope you enjoy this video. http://www.cbsnews.com/video/watch/?id=3706677n What type umbrella do you prefer? National Women’s History Month Is there a display for National Women’s History Month in your local public library or your school? If not, ask a librarian for recommended titles. Make a list of famous women in history and ask friends for other names. Research one or more this month. Make a chart listing women in history and the reason known. Which woman inspires you and why? Read about her. Optimism Month What is optimism? Look up its definition. Survey your friends and family to see what they say optimism is and how you get it. What do you agree with? What do you disagree with? Write about it. What will you do differently to be more optimistic? Youth Art Month Art is a beautiful way to tell a story. What do you like to draw? What can you teach someone else to draw? What can you learn from him/her? Do you like to study about artists? Do you like to check out drawing books? Spend quality time on an art project just for fun. Create a card for your art teacher. Let’s talk: Choose one or more of the conversation starters above and leave a comment. Coming March 16: A guest blog about quilting by Maureen Wartski, author of Yuri’s Brush with Magic. Coming March 24: A guest blog about tuberculosis by Shannon Hitchcock, author of The Ballad of Jessie Pearl.